"The Contract" is the inspiring story of Jimmer's journey from the playground to the pros. It's the story of two brothers from a blue-collar Mormon family in upstate New York: Jimmer trying to make it to the NBA. And his brother T.J. trying to stay alive due to a debilitating illness. Each a lifeline to each other. 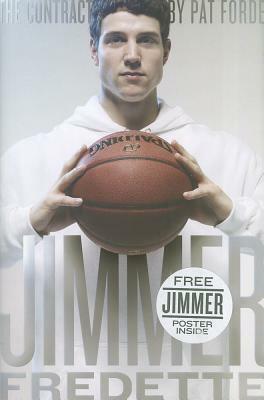 Jimmer signed the contract, T.J. signed as the witness, and as Jimmer's fame spread, the contact became a prominent part of the story. Here you will find stories from Jimmer's childhood and teen years as well as his special bond with his brother. In addition, you will learn more about Jimmer's college basketball experience, his doubts, his work ethic, his unwavering family support, his insights about the NBA draft, and the role his faith plays in his life. Pat Forde is a national columnist for Yahoo! Sports, primarily covering college athletics. He previously worked for seven years at ESPN and 17 years at"The Louisville Courier-Journal, "where he won 16 national awards in the AP Sports Editors writing contests. His work has twice been included in "The Best American Sports Writing," and he was nominated for the Pultizer Prize in 1990. Pat lives in Louisville, Kentucky, with his wife and three children."